Little late on my 3rd year anniversary, was spending my weekend competing at contests. But nice being here... still. Can't seem to stay away from here lol. Eh, it's fine little lady, I won't tell. Guess KHI works kind of like a black hole, everyone gravitates towards it. Cheers! And also realized the Riku/Replica Riku fanclub is 2 years old now. Wow time flies. You've been here 3 years now?! lol Here's to another 3, and I hope you did well in those contests! Yep, I'm still shocked I've been here for this long (but tbh, it feels longer lol). Hah, about that... I sucked at the contests. I went up against professionals in my field and didn't make it to the top. Still don't know where I placed yet. But it was incredibly fun and stayed at a 5-star hotel for 3 days. Weekend was too fancy for me. Also, love how you added that photo there. It fits. I'm not good at encouragement so...don't worry! Sucking will get you to the center of that tootsie pop! But you had fun and that matters just as much! I'm jealous you got to stay in a fancy hotel. I couldn't help it. XD Shocked Riku is adorable. It's fine, every little bit of encouragement helps! So thank you. I'll try to compete next year. Until then, I can practice! It was definitely fun, but way too expensive. The cost of the trip was paid by the school thankfully, but not the food which the food at the hotel was too pricey. So each day my group ordered fast food lol. But overall from the contests, I learned more from the experience. Hopefully I'll continue to pursue photography and possibly make it as my future career. The hotel, didn't know it was as fancy as it was till I got there. First time being in a hotel for me too. 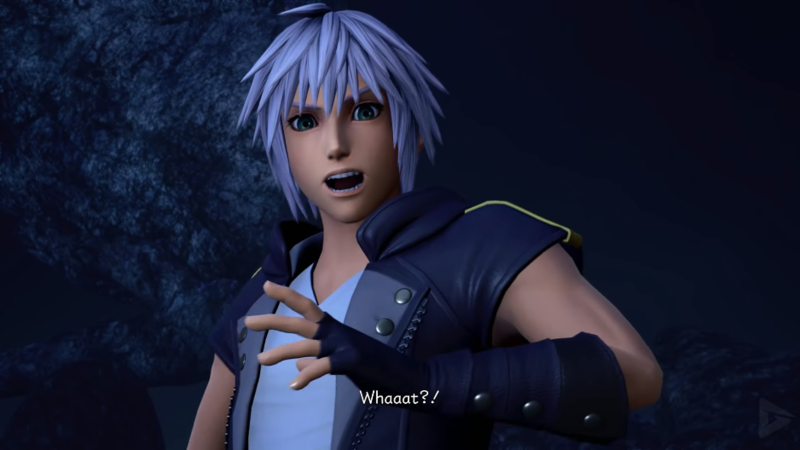 Shocked Riku is adorable. To me, anything Riku is adorable. And I'm good at encouraging people, It's odd how I do that, despite acting very much like Eeyore in my everyday life. Anyways, you've got this little lady! If I can learn to scuba dive in the local frigid waters in the rain, you can compete with the best of them! I believe in you! Indeed you are. Thank you so much! I hope that I'll continue to seek my passion in the long run. Much of my family and friends have continued to help encourage me whenever I'm stressed out or losing faith. That sort of encouragement helped me to work hard, and helped me place the top 5 in the regional contest that landed me to the state competition which was last weekend. Yeah, I made the word "contest" plural by accident. It was only one contest I competed in during that weekend. But either way, state contest was difficult. It was like going from a lvl 1 boss to a lvl 50 boss and I'm like lvl 5. But thank you for believing in me, I'll never forget it.